This hybrid of White Widow and Afghan Kush is recognized as being one of the best in the White strains. It is very well known for having a wonderful smell, great for aromatherapy and pleasing your roommates. The euphoric feeling is great for anxiety and migraines, making it a great option for medicinal toking. It can also aid in insomnia, loss of appetite, and stress. 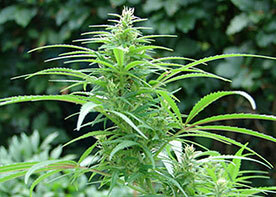 If you have yet to try this strain out, it’s time to order seeds and start to grow. Well known for being covered in large white crystals, it has earned it’s royal name from it’s glittering buds. White Queen is well known for being one of the strongest strains on the market today. The white powdered buds are very dense and full, making these cannabis buds a great addition to your stash. Even though this marijuana plant produces large and heavy buds, they are still lightweight and branches won’t break. Once you have cured the cannabis buds, they aren’t too moist not too dry. Creating a perfect balance for an enjoyable and pleasant marijuana smoking experience. It’s time to order without hesitation and start experiencing the White Queen for yourself. The first thing that must be noted is the strong citrus, pungent, and earthy smell. Many smokers consider the smell from smoking White Queen as being aromatherapeutic, meaning the smell encourages a calming effect and lowers stress levels. It can also encourage a strong euphoric and psychoactive experience. 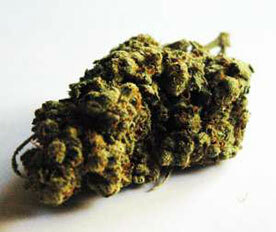 Smokers have described the overall experience as being very potent, energizing and bursting with happiness. However, if you find yourself eating a whole bag of chips when you smoke, you might want to lock them away this time around. White Queen is great if you’re experiencing low appetite, therefore it’s best to hide the treats if you’re easily tempted. You can grow White Queen either indoors or outdoors. It can be a good starter if you’ve done enough research, however if you’re very new to the growing world, you might want to try another plant as it can be a bit stressing keeping up with the demands and requirements. Proper drying techniques is required in order to produce the well known fragrance. As long as growers are patient and tentative towards their White Queen plants, they will be able to create the calming and uplifting high associated with this plant. It is best to harvest in September or October, so plan accordingly. Simply decide how many of these marijuana plants you want to grow, add a few extra for good measure, and order your desired amount of seeds. You can start growing as soon as the seeds arrive in the mail, it’s that easy. White Queen should be experienced for both the learning experience of growing and for the pleasant euphoric experiences. Ordering your cannabis seeds online is one of the best sources on the market.